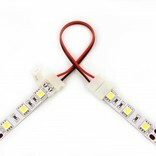 Flexible solderfree interconnect for two parts LED ribbon. 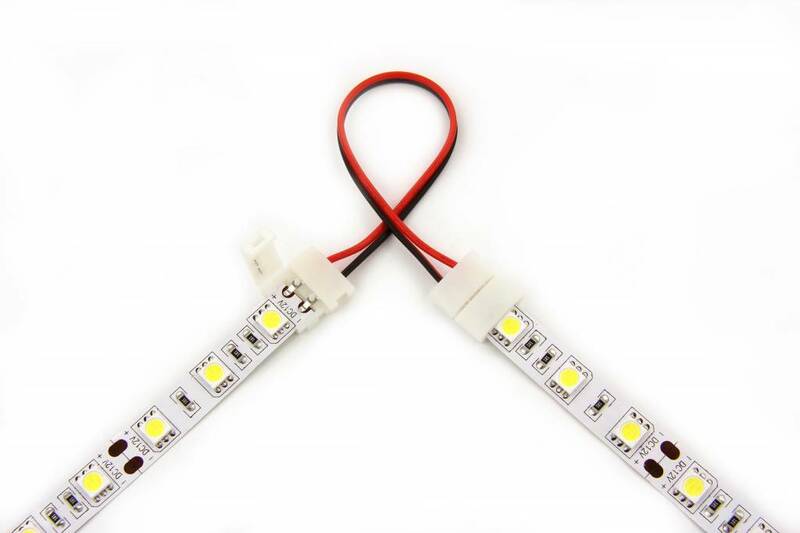 Suitable for 8-10mm wide single colored LED strips with 2 powerlines. Not suitable for type 3528 with 120 LED's per meter (not enough space for connector to slide over).